When you walk into the new World Trade Centre you need to go through security – understandably! Then you enter into a darker walkway where another world awaits you which leads you to the lifts. I wish I had known this before so here’s a tip for you now - In the lift have your phone out and ready to record, as this 47 second lift ride takes you on a journey that’s quite incredible it shows you a graphical animation of the cities every changing skyline over the years which is pretty awesome, I wish I had recorded it going up! 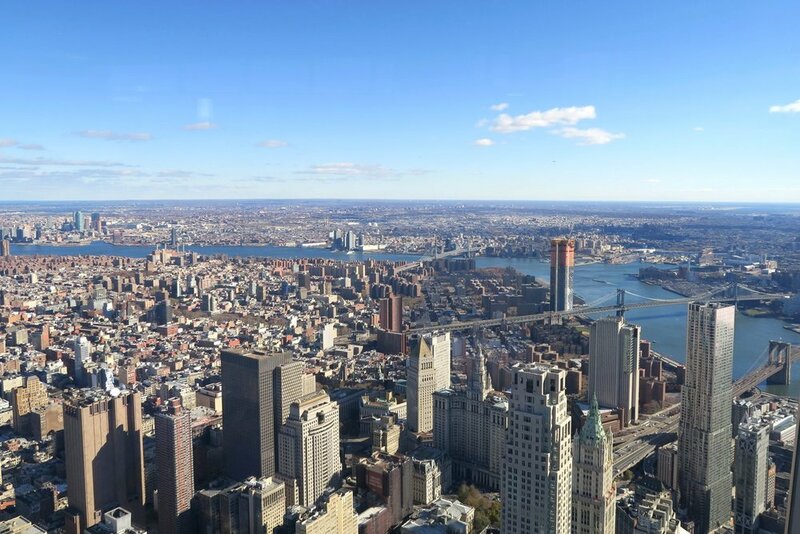 At the top of the One World Observatory you are on three levels, the 100th, 101st and 102nd floors. When you first arrive, they will show you an array of ever changing images of New York City which are pretty cool! This display only goes on for a few minutes then the blinds open and you see Manhattan in all its glory! Here are some of the pictures for you. Your photo will get taken before you wander off which you can purchase later on before you leave if you want to. This is the tallest building in the Western Hemisphere, therefore, the views you see overlooking the entire city are just spectacular. 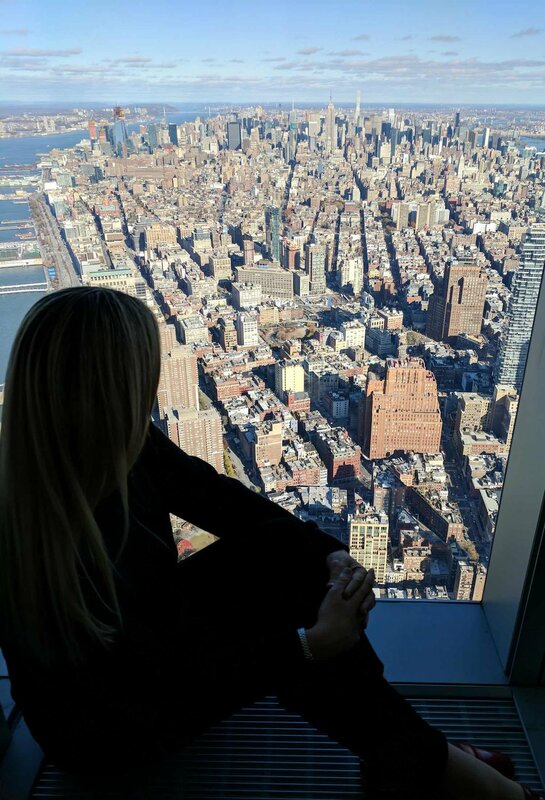 You will be in awe of the 360 Degree View overlooking Manhattan and the surrounding burrows. You’ll get a clear view of the Statue of Liberty as well and I’m sure you’ll agree these views are pretty amazing. I’m sure it looks just as awesome at night as it does during the day, next time I’m in NYC I will be going up at night to check it out – yes, I’ll be going back again! You can stay up there as long as you like during opening hours allowing you to take your time, snap away on the camera, and really immerse yourself in this beautiful scenery. If you want to grab some food there’s a restaurant up there, and you can pick up some souvenirs from gift shop there too. There’s the added option to rent a One World Explorer tablet which gives you tour highlights and information of important landmarks around the city. Simply hold the tablet up and the information will be at your fingertips, it’s really cool! I’m glad we hired one which cost $15 USD (you can rent it when you get to the top on). Entry Costs in USD: General Admission for Adults is $39 – Youth (6-12 yrs) is $30 – Children (5 and under) are free and Seniors (65+) are $34. Time of Day: It opens at 9 am closes at 9 pm and we went early in the morning and we are glad we did the lines get really long from lunchtime onwards. The only downside is when you’re trying to take photos you can get reflection issues because it’s all enclosed. However, the upside to this is even on a really cold/hot day in the city you can stay comfortable and still admire the view! 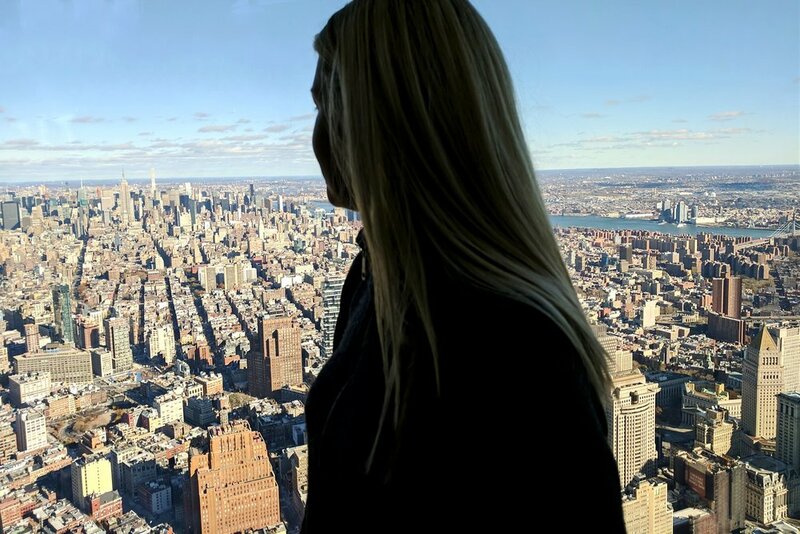 Because when you’re on the Empire State Building observation deck you’re exposed to the weather up there… Which is fine if it’s a nice day but if it’s freezing cold and windy or too sunny and boiling hot then that’s not so great either. I’m really happy I got to see this incredible view it’s awesome, I hope you enjoy it too!